Weekly Innovation: Turn A 3-D Printer Into A Tattoo Machine : All Tech Considered Body art, made possible by a clever hack. It all started when a young student in France was riding his bike on the way to design school. Antoine Goupille may be the first human tattooed by a robot. Behold, the first human to be tattooed by a 3-D printer. The machine tattooed a ring on his forearm. Working with his fellow design students, Piotr Widelka and Johan Da Silveira, Emm took a MakerBot Replicator 3-D printer and reconfigured it to "make the machine more incarnate," as he describes to NPR. "An image passes very quickly ... I wished to give them more time." 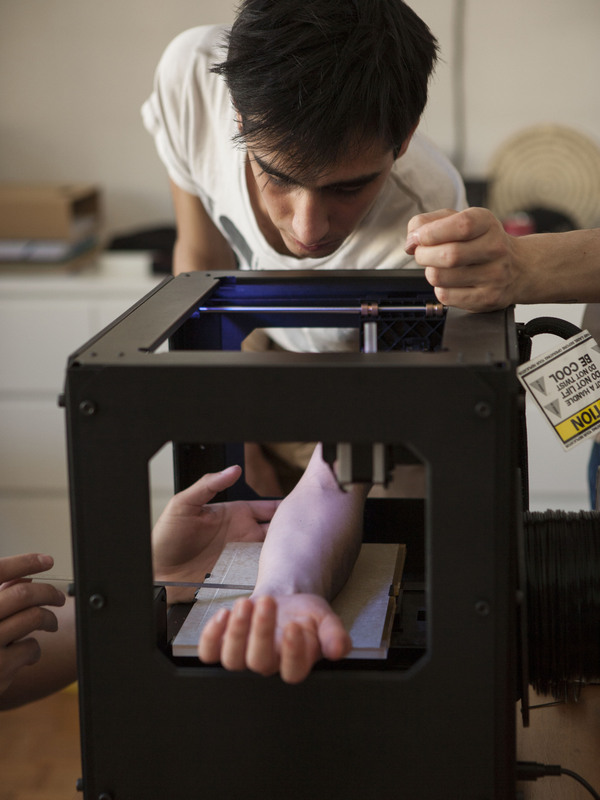 So the students hacked a printer to write an image on human skin. The prototype for this hack was built as part of a challenge set up by France's Cultural Ministry, to get students to come up with remixes of images, videos and sound available in the national public domain. 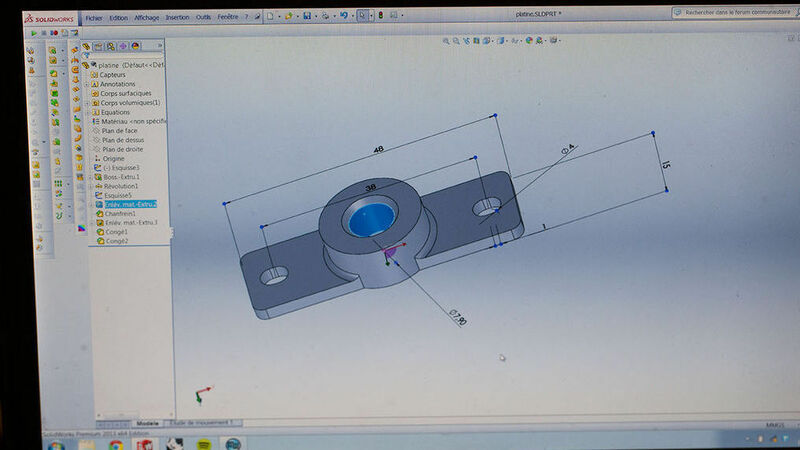 The design of the tattoo tool, which got attached to the printer. "The young designers didn't want to stop there. They wanted the machine to make REAL tattoos, on REAL skin, so they kept working on the project during their spare time, with some help from teachers and other students. "They borrowed a manual tattoo-machine from an amateur tattoo artist and found some artificial skin for the first tests ... The big difficulty was to repeat the same exercise on a curve surface and on a material that has much more flexibility than silicone. Many tricks were tried to tighten the area around the skin (a metal ring, elastics, scotch tape...) but the most effective one was a scooter's inner tube, open on the area to be marked." If you're interested in this, here are step-by-step instructions to turn your 3-D printer into a tattoo machine. This post is part of our Weekly Innovation series, in which we explore an interesting idea, design or product that you may not have heard of yet. Do you have an innovation to share? Use this quick form.